Create The Yard You Have Been Dreaming Of. Call for design help from our expert staff. Have a Complex Project? Don't Trust It To An Inexperienced Crew. 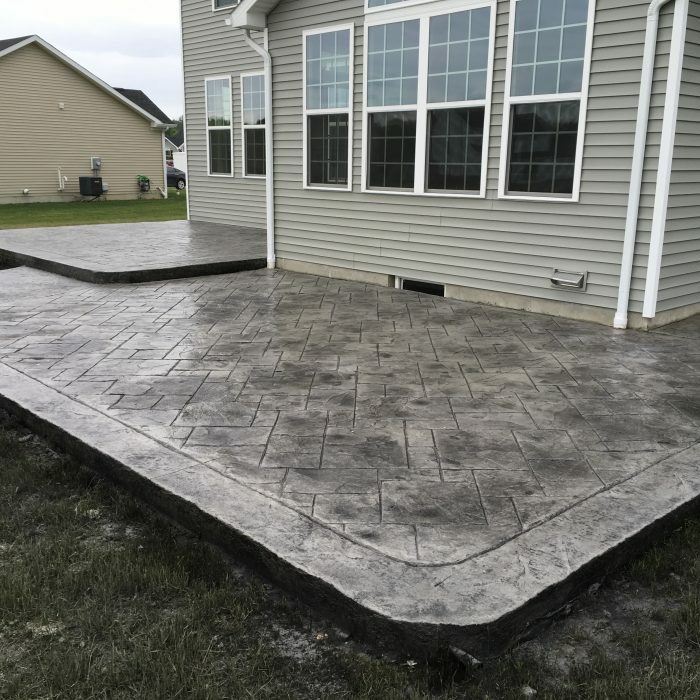 Dreaming of a new Stamped Concrete Patio? 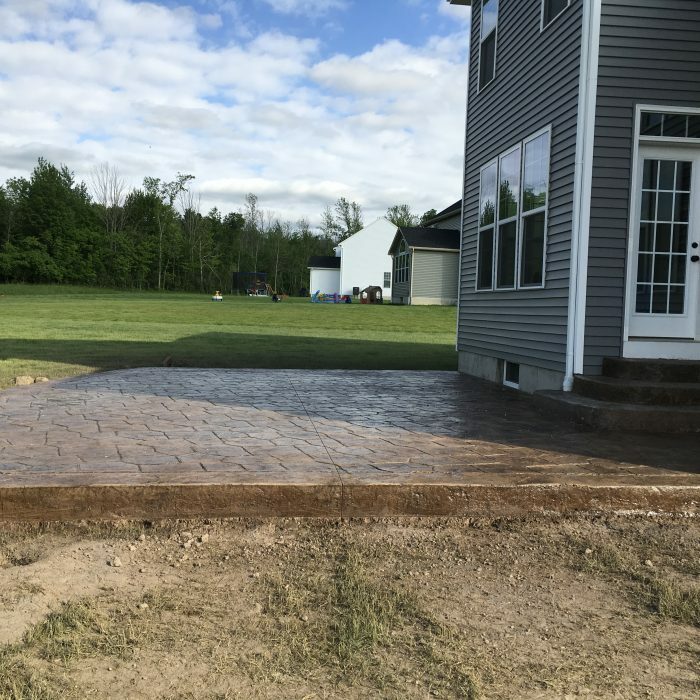 Emerald Services of WNY is expert at all types of concrete construction, from Residential Driveways, Stamped Concrete Patios, Sidewalks, Retaining Walls to Commercial floors, Curbs, Footers and Parking Pads. Call for a quote. 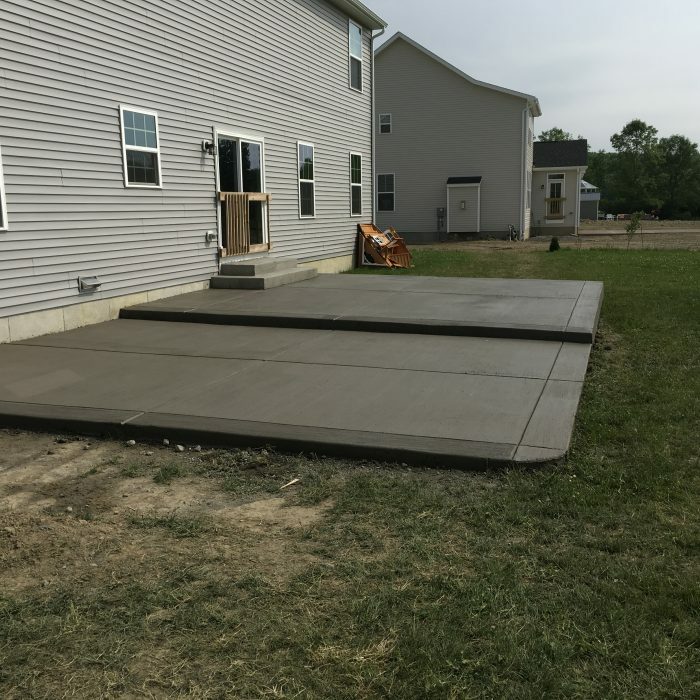 We have poured hundreds of concrete driveways around WNY. Our Experience helps you get a better designed, longer lasting driveway. 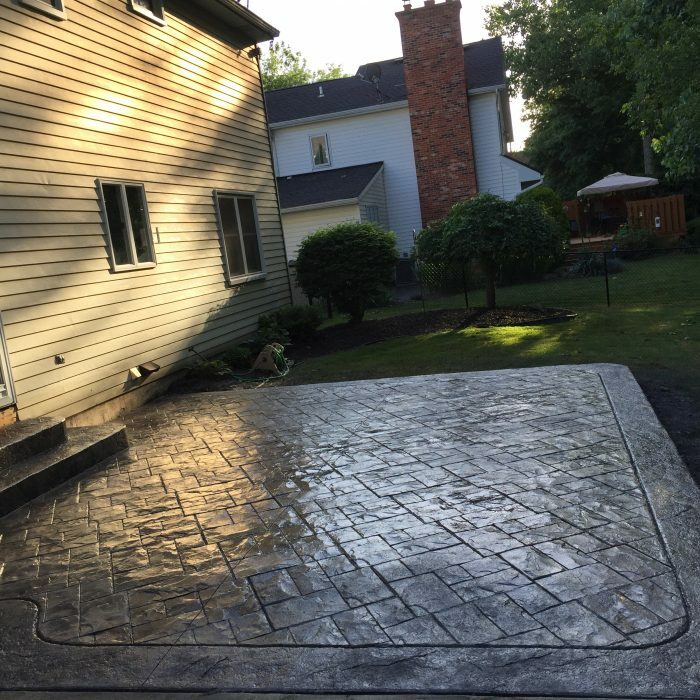 Look in our photo gallery to see some of the hundreds of patios we have poured over the years. Our designs speak for themeselves. Many concrete contractors only have experience in residential work. Emerald Services has years of commercial concrete work behind us, we know what it takes to work in a commercial environment. We have constructed many retaining walls around WNY. If they are not built properly they won't do their job. Be sure to let Emerald quote your retaining wall project. Need a new floor in your basement, stamped heated floor in your sunroom or just a concrete pad for your shed or garage? Emerald Services is your GO TO contractor. We have poured hundreds of floors and pads and will get yours done on time and on budget. 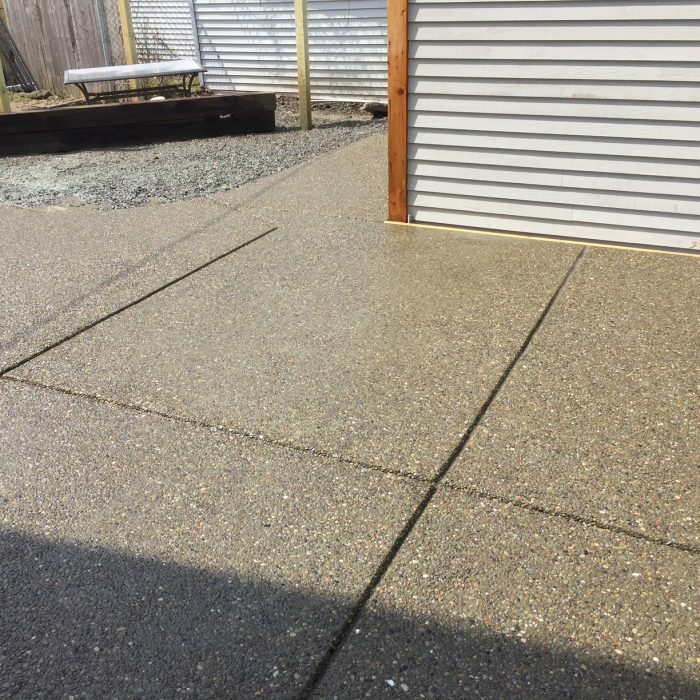 If you are looking for something a little more unusual and a little more interesting that standard flat gray concrete, consider exposed aggregate. It is becoming more common over the last few years in the Buffalo and WNY area. 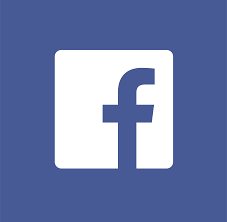 Thanks for taking the time to look at our website. At Emerald Services Of WNY Inc. we appreciate your business! This is our 17th year serving the WNY community. During this time we have established ourselves as being one of the elite construction contractors in the area. Feel free to take advantage of "Our Work" link to take a look at some of the projects we have completed. Emerald Services is proud to work in all the communities in WNY including Buffalo, West Seneca, Amherst, Williamsville, Clarence, Cheektowaga, Depew, East Aurora, Orchard Park, Lancaster, and more.